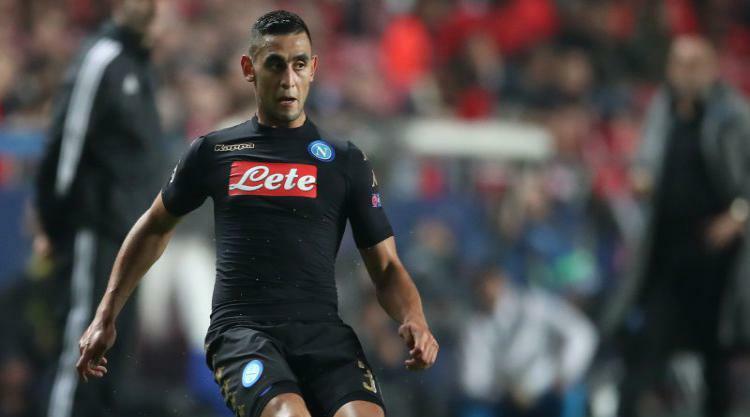 Manchester City are interested in bringing Napoli player Faouzi Ghoulam to the Ethiad Stadium in the new year, The Sun claims. Pep Guardiola is reportedly willing to look into a £3million deal for the 26-year-old, who will be out of contract next summer. The reports come after full-back Benjamin Mendy suffered a nasty knee injury, ruling him out of the squad in the long term. Henry Onyekuru could be back at Everton by January after a loan spell at Anderlecht, a report in the Liverpool Echo says. The 20-year-old did not have much time to pull on a blue shirt before he was sent on loan to the Belgian club due to work permit issues. Everton are reportedly hoping a “special talent” clause will overcome the permit problems in time to see the 20-year-old in the starting XI next year. Turkish striker Cent Tosun appears to be in high demand from the Premier League, according to the Croydon Advertiser. Crystal Palace sent scouts to watch the 26-year-old, who is said to come with a 25million euro (£22.36million) price tag. Tottenham and Newcastle are also believed to be interested in the striker, who has so far scored four goals for Besiktas this season. ???? Aleksandar Mitrovic spoke to NUFC TV after the weekend's win against @WestHamUtd. Brighton are eyeing Serbian striker Aleksandar Mitrovic for a January move, the Daily Mirror reports. Scouts were reportedly in the stands to watch the Newcastle player play for his country against Austria last week. The 23-year-old has not seen much game time for the Magpies since he was handed a three-match ban after being found guilty of violent conduct during a game against West Ham. Arda Turan is on Arsenal’s radar, according to a report in the Daily Mirror. With the midfielder looking for more time on the pitch, the Gunners are hopeful of bringing Turan the Emirates in January, reports suggests. Galatasaray are also rumoured to want the 30-year-old in their side. Danny Rose could be swapping Tottenham for Manchester United, talkSPORT reports. After missing out in the last transfer window, United are said to be willing to try again for the 27-year-old come January. The left-back has recently been on the sidelines due to injury but is set to return for Spurs later this month. Jose Mouinho’s trip to Austria has been solved, according to the Daily Mirror. The Manchester United boss was said to be there to watch Mijat Gacinovic in the Austria v Serbia World Cup qualifier. The 22-year-old has impressed at Eintracht Frankfurt and equally on an international level after scoring two goals in three appearances for Serbia.